By now the news is spreading like fire around the Internet and beyond – Steve Jobs has resigned as CEO of Apple, Inc. As I sit and watch the stream of tweets flowing through my Twitter client, even those who are vehemently against Apple are wishing Jobs and his family well. It’s in this moment that I realize something incredibly true about the future – Apple will continue to dominate. Oh sure, as I’m writing this I’m watching Apple’s stock take a downturn. At present it’s down 5% in after-hours trading and I’m certain that it will continue for the next few days, if not weeks. In fact, I’d be surprised to see it hold steady or climb until we see the next iPhone. But that’s just how the stock market works and a 5% drop is barely even worth noting. So with falling stock prices and only the knowledge that Tim Cook will likely take over as the CEO, why am I so confident? All you have to do is look at the facts and the reaction. At no point in the entire time that I’ve watched the world of business has the outpouring for a single man, and that man’s company, ever been so strong. It’s the reaction that people have when a man has made a difference. But it’s not just the man. 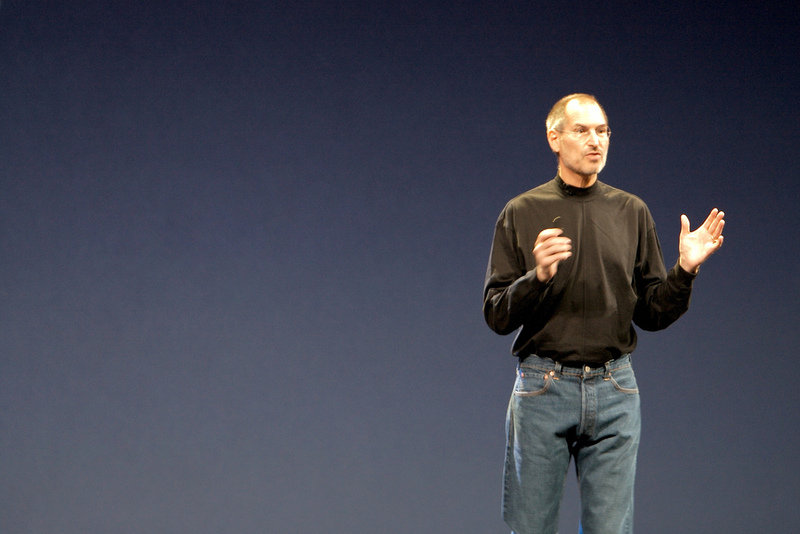 Steve Jobs rebuilt Apple in his image, crafting every inch of every device into exactly what he would want. Beyond that, though, he built an entire way of life inside the walls of Apple. He has built a legacy and that’s something that a simple switch of a CEO can not change. To those looking back, 1985 was the second most pivotal year for Apple Computer. The year that Steve Jobs was asked to resign was also the year that he started to build the future of Apple Computer, though it would take 12 years for that future to come to light. By 1997, Jobs was back at Apple and plotting the course that would bring the company back from the edge of destruction. Then, in 2001, the shift became clear to the rest of the world. Apple launched OS X, incorporating tools from Jobs’ NeXTstep operating system while building it on top of one of the most operating systems that we’ve ever seen in FreeBSD. It’s arguable that the changes that happened prior to 2001 were instrumental in helping the company come back from the dead, but that launch of OS X was a gust of wind in the sails that came at just the right moment. Fortunately, that gust never stopped. It became a gale-force wind that has continued for the following 10 years, propelling Apple, Inc to bigger things while building upon the culture that Jobs himself curated. It is with that in mind that we have to look toward the future of the company. Tim Cook has been inside of the computer industry for the better part of the past 30 years. The previous 12 of those have been spent at Apple, fixing the things that Jobs himself was either unable or unsuited to do. Cook is, arguably, the one responsible when you’re standing in a queue outside of an Apple store, waiting to get the newest iPhone, with the fear in the back of your mind that it might take weeks to acquire it otherwise. This fact is vital to my belief that Apple will continue to dominate as it has in the past few years. The job of the CEO is to manage the company. But in doing so, it is also the job of the CEO to take into full account the recommendations of the Board of Directors, as well as the input of the company as a whole. Tim Cook wasn’t named “CEO” until today, but he’s been the chief executive at the company since Jobs started this — his third — medical leave back in January, and probably even before that. The era of Steve Jobs as CEO of Apple, Inc may have ended, but another one has begun. Apple is firmly on the right path when it comes to the factors that make the company profitable and dominating. As it has often been said before, when you’re on the right path, all you have to do is keep walking forward.